Many men in recovery have had painful childhood experiences that fuel criminal and self-destructive behavior (“inter-generational evil”). 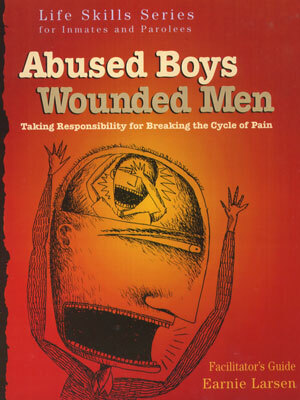 This important curriculum reveals the wounded boys inside the men, and how over-reactions to present events often stem from those wounds. Underscoring personal responsibility (“abuse is not an excuse!”), these 2 DVDs and workbooks take viewers from “owning” past abuse, through changing self-destructive beliefs and behaviors. Men with chronic excessive anger will relate to lost relationships, jobs and opportunities while finding hope that change is possible and imperative to break the cycle. Originally designed as part of a life-skills series for parolees and inmates, this curriculum is totally relevant for addiction treatment programs as well. Curriculum includes 2 DVDs, Facilitator’s Guide, and 10 Workbooks. Additional workbooks are available at $70 for a 10 pack. Call for additional details.